Lover of quaint cafes? Small town enthusiast? Wine Connoisseur? Then the weekend should find you in the loveliest county there ever was. Prince Edward County. Situated just a two and a half hour drive from Toronto, Prince Edward County is a gem that transcends your weekend into the perfect escape. All the hipsters are staying at Drake Devonshire Inn. Situated on the banks of Lake Ontario in the small town of Wellington, this quirky boutique hotel will make you feel as if you are starring in a Wes Anderson movie. Right at the heart of Picton, The Ferg is the perfect choice for anyone that is looking for comfort, entertaining friends, and a pet-friendly environment. Inspired by minimal Scandinavian design, this heritage home will leave you breathless with its historic elegance and quaint charm. Baymouth sandbars and sandy dunes, Sandbanks Provincial Park has something to offer to everyone. Whether you want to stroll down the white sandy beach, go on a scenic drive if you do not feel like getting sand in your shoes, or for a quick swim, this Provincial Park is a must see spot when visiting Prince Edward County. 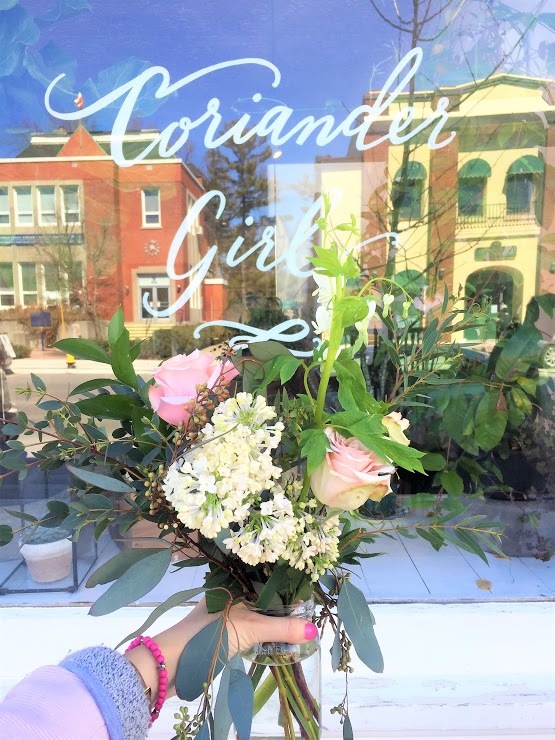 A girl loves her flowers, and Coriander Girl is the cutest flower shop in the town of Picton. Grab a freshly made bouquet of flowers or chat with the owner who is just a lovely as her creations. Not only are wineries in Prince Edward County pet-friendly, they are also the most picturesque wineries I have ever seen. It may prove to be merely impossible to visit all 33 wineries in just one weekend, so thankfully I did the scouting for you. Here are my top 6. Closson Chase Vineyards: This winery not only has amazing wine, but its purple barn walls make it a very Instagramable destination. County Cider Company: Those that are not big wine drinkers will appreciate the mouth-watering ciders offered. Karlo Estates: Apart from the fact that this is the first certified vegan winery in the world, Karlo Estates also offer a large variety of wines with the most delicious food pairings. Norman Hardie Winery: If you are looking to pair your wine with a slice of wood-fired pizza, you have come to the right place. The Grange of Prince Edward County Winery: Rustic and submerged in nature, nothing makes you feel as if you are sipping wine in an enchanted forest like the Grange does. Waupoos Estates Winery: Offering a stunning lake view and great lunch choices at their Gazebo Restaurant. The Courage: Casual and fun, this is another quirky spot in the County that will leave your taste buds and coffee cravings 100% satisfied. Drake Devonshire: From brunch to dinner to cocktails, you will be definitely coming back for more. Make sure to try their Devonshire Burger and rhubarb cake. The Hubb Eatery & Lounge: Located in Bloomfield, this farm to table restaurant is a favourite for locals and tourists. Vic Café: The Vic Cafe puts Parisian cafes to shame with its perfect decor. Whether you want to catch up on your daily news by drinking a cup of chai latte or have a light lunch, Vic Café is my go to choice in Picton. Whatever the reason that brings you to Prince Edward County, you will not want to leave.